We have officially launched our very own Kaapse Buchu Gin this past weekend at theÂ Good Food & Wine Show SA. Our very first gin product, this distinctive, buchu-infused gin is the product of a master distiller’s devotion to his art and dedication to innovation. Using a traditional copper pot and only the purest spirits and finest local botanicals, this bespoke traditional gin is created. A foundation of juniper berries is overlaid with hints of coriander, dry lemon peels, orange peels and a myriad of other fine botanicals. The resulting gin is further enhanced and defined by the addition of a sprig of Agothosma Betulina, better known locally as buchu. The buchu in Kaapse Buchu Gin comes from Tierhoek (www.tierhoek.com), located in the Piekenierskloof region in the Western Cape, it is one of the few areas of the Cederberg mountains where buchu occurs naturally. The buchuÂ is handpicked and immediately infused with the local gin, ensuring all the buchu oils are extracted naturally and at their finest. Buchu is well-known for it’s various health benefits and medicinal properties. 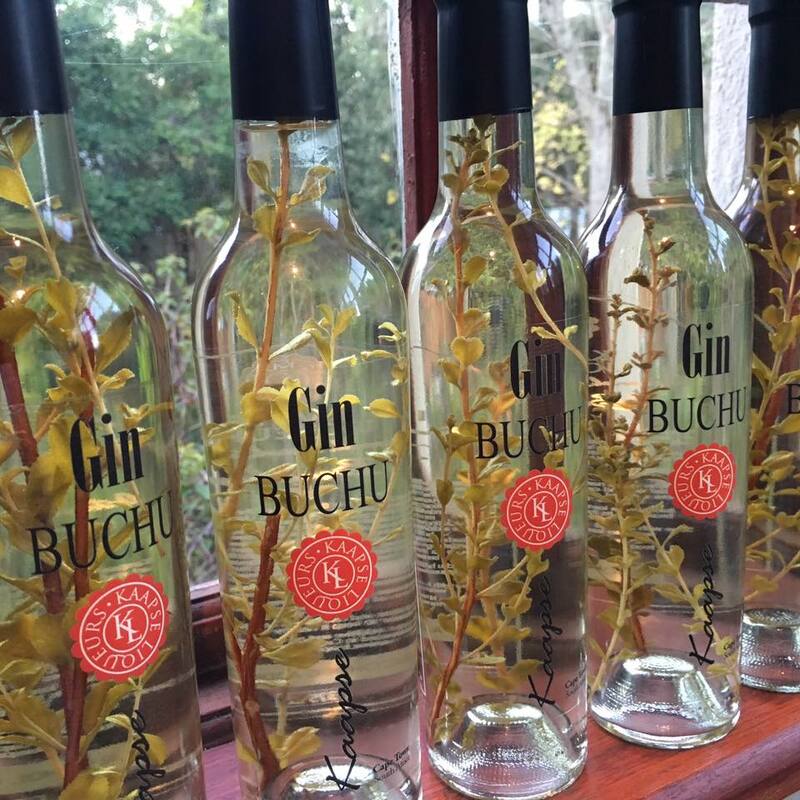 You’re either going to love our buchu-infused gin or not! The flavour is herbaceous with strong eucalyptus and distinctive fynbos aromas. However, in this deliciously smooth gin these tones are subtly portrayed. We urge you all to try it for yourself! We recommend you drink it with sparkling or soda waterÂ if you prefer to keep it natural, or enjoy a classis Gin & Tonic with a twist by combining this gin with your favourite tonic. Have a look here for more great cocktail recipes to try out.